So I figure I'm not the only one who regularly occasionally finds herself mired in the dilemma of which edition of a book to buy. With a number of lovely sites like The Book Depository out there, we collectors have increasingly easier access (thank you free shipping worldwide) to the gorgeous editions available to our friends on the other side of the world. And covers are such personal things, aren't they? I love browsing different editions and experiencing that moment when I see the one. The one that will live on my shelves. Of course, then it's a matter of locating it and scraping together the funds . . . but never mind that bit. All of this to say that I thought I'd start up an irregular and entirely at my personal whim feature entitled Choose Your Own Edition, in which I can secure your good opinion on which edition I should purchase of whichever book I'm romancing at the time. 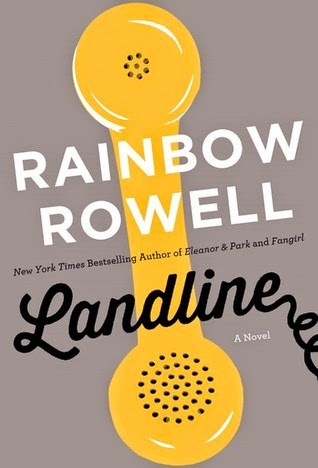 Up first: Rainbow Rowell's Landline. I loved this book (as I tend to do when she's the one with the words). I have a much-lent out ARC, but I'm itching to own my own finished copy. Above we have the US hardcover (left), US paperback (middle), and UK hardcover/paper (right). What's your pleasure? I'm partial to the phones on the US paper and UK covers. And I really love the title font for both US covers. But that tagline on the UK one is so very charming. I'm torn. Your input, if you please. I love the colors in the middle edition! Eye catching! I really like the retro feel of the hardback. That blue is gorgeous. I think I like the US paperback edition best.Pink is not really my cover, but in this case, it just works for me. Agreed. The pink is not my favorite, but everything else is just on point. YES. My favorite color scheme of the three by far. It's definitely the most eye-catching. And I love the phone and font. The US hardcover is my least favorite because it doesn't show the cute rotary dial and it's the least quirky of the 3, but I love how the title has that trailing phone cord hanging off the "e". 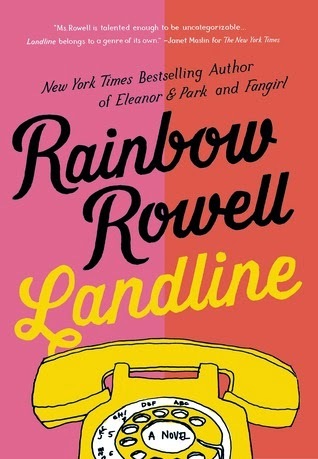 The UK cover is so adorable with the whole phone graphic and the handset at a jaunty angle, and the way the font is incorporated into the picture = I love. Plus that blue and yellow is a nice combo. 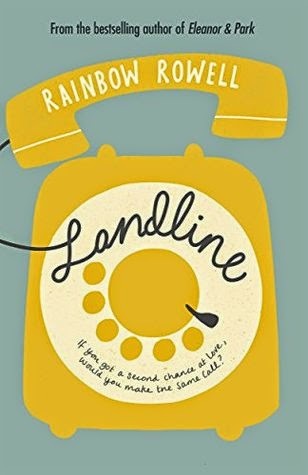 But the US paperback has a line drawn phone with is tres cute, plus the combo of yellow, red, pink, and black is kind of doing it for me... Hmm. I admit my favorite color is blue, so that makes me lean a TAD bit more toward the UK cover. Agreed. The two pinks are very strong. Sigh. Yes, to everything you just said. Why must it be so hard??? I want the UK color scheme and tagline with the US paperback hand-drawn phone, cord, and title font. I love the US hardcover one for the detail of the curly phone line leading off the final "e". I spent entire phone calls fidgeting with that spirally, springy curl when I was young. The other two show the rotary dial and have great graphic design, but I think that curly phone line wins for me. Exactly! That detail is so GOOD. I OWN THAT EDITION, LI. I am weak . . .
Haha - okay, I am so envious right now! Yeah, I wouldn't purchase more than one. And you're spot on about the retro poster feel. The hardback has that lovely pink and cream striping on the spine, doesn't it? I do love that . . .